Why Newcastle can't progress under Ashley | NUFC Blog. Back in 2013, we shared the news that Mike Ashley had a net worth of £3 billion, which then made him the fourth-richest club owner in the Premier League. While he is now only the 10th richest owner, you’d think he was one of the poorest. It may be fair enough to say we can’t compete with Manchester City or Manchester United in terms of spending. But when you consider how our net spend was lower than the two clubs (and relative minnows) that came up with us, this shows Ashley has no intention of investing enough to help us compete. We’ve been relegated twice in the last 10 years under Ashley’s watch. But while we did come straight back up both times, there doesn’t seem to be any ambition beyond Premier League survival. As I say earlier in this post, getting Benitez in as a boss was a real coup. It was clear Rafa could see the potential in Newcastle. But if Ashley doesn’t start coughing up the cash, the Spaniard will soon be on his way out the door and the club will continue to be a shadow of its former self. 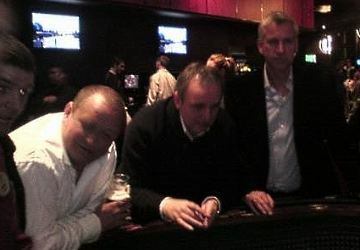 Photos have emerged of Ashley trying his luck on the roulette table and winning millions – and this just makes his lack of investment and ambition harder to take. From the Keegan saga to the Joe Kinnear debacle and on to the ill-judged appointment of poor managers like Steve McClaren and the sacking of good ones like Chris Hughton, Ashley showed he has no understanding of football. Then there’s the renaming of St James’s Park to the Sports Direct Arena back in 2011. As the Guardian reported at the time, this was a real slap in the face to Newcastle fans. As well as lacking any grasp of the game of football, the renaming showed that he the owner also lacked respect for the club, its fans and its history. Ashley has now put the club up for sale three times, with each one falling through. This is mainly because the potential buyer refused to meet the owner’s inflated valuation (he now values the club at £400 million). Last autumn, most of us reacted with joy when Ashley announced he wanted to sell. But, yet again, it was too good to be true. He seems determined to make a profit – which is clearly all he really cares about. Now we have an owner who doesn’t really want to be there and a once great club languishing in limbo. Yes, Yes. Yes ! we are all aware of the reasons why NUFC cannot move onwards and upwards, money ! It’s not as if Ashley was enamored enough, like some owners and wanted to have a winning side, even a mediocre one, but at least a Premier League quality side. It’s my belief he bought the club on a whim, while the money was pouring in from takeovers and Sports Direct looked as if it would become enormous. Of course his reasoning included the fact that the club and stadium could be a part of the expansion of SD, providing free publicity and the club would become a solid part of the EPL, sitting around mid table, paid for by ever increasing tv revenues. Of course he wanted to do all of this on the cheap and being a secretive sort, ended up hiring all the wrong people, especially top management, being he hired those who could only be described as from his social group, hiring people like Llambias, who he found working in some casino whom he obviously felt comfortable with, but who knew less about football as a business than he himself..
Actually there were some interesting developments introduced , which if run by someone who understood the business, could have actually worked,which was the recruitment of inexpensive continental stars playing them low wages with the understanding they would be sold on to bigger clubs at a profit. Of course that was already the business policy of his official business SD, buy cheap and sell for a decent profit, which in fact could have worked with the right management, don’t believe it ? just look at to- days Monaco, who do it better than anyone. Anyhow he to-day is once again in the process of expanding SD, both in the UK, where he has acquired a more upmarket company (being SD has reached a saturation point and business in order to succeed has to expand continually) my understanding is he is also attempting a takeover of a large US big box store outfit.. Which, leaves him little to spend and certainly he could use the millions of cash needed from the sale of NUFC, whether he will accept a lower price or not, remains to be seen, only the marketplace will decide. I don’t think any of us have mentioned the new goalkeeper yet? He made a really excellent debut and was probably a man of the match. 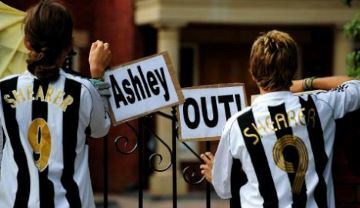 As for Ashley, when he takes over an ‘upmarket’ brand, it is no longer an upmarket brand. It loses all of its ‘cachet’ as the sort of people who work in advertising might say. I wouldn’t say that Dunlop is an upmarket brand, but it is a great historic traditional brand and that has a strage double life now. You have the Dunlop brand printed on cheap rubbish, but you also have top world golfers using better Dunlop stuff in major championships so the brand has a total identity crisis now.